My buddy just bought a massive collection of toys. We're finding some pretty interesting stuff that neither of us can pinpoint. 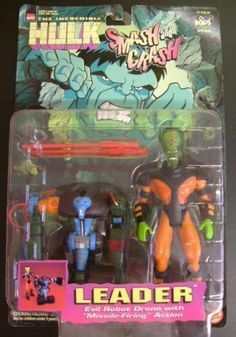 This green hand reminds me of the "Monster Armor" figures Toy Biz released. The only green one I can find is Rogue, and this doesn't go to her for sure. This was a hilariously cool weapon and I just want to know who owns it! My buddy is curious about where this eye comes from. No markings. He is also curious about this robot. After I took the picture we found a couple of large cannons for his arms. All of the stuff in these bins is either from the 90's or early 00's, if that helps anyone. Edited by Draznar, 01 August 2017 - 07:26 PM. More like a ridiculous amount of totes filled with monsters. Including minifigures, he probably picked up over 500 figures. That eyeball thing reminds me of a blurp balls "missile" that you shot out of their mouths. I don't recognize it as matching any, but I'm not an expert in the field either! Edited by dixiebull, 31 July 2017 - 09:43 PM. Those Venom heads came with a sticky Venom like figure. Same consistency as those sticky hands from gumball machines. They came with figure of a Venom toy line by Toybiz called Planet of the Symbiotes. I'm going to leave the thread open as we're still sorting through it all. Not sure if we'll need to come back! 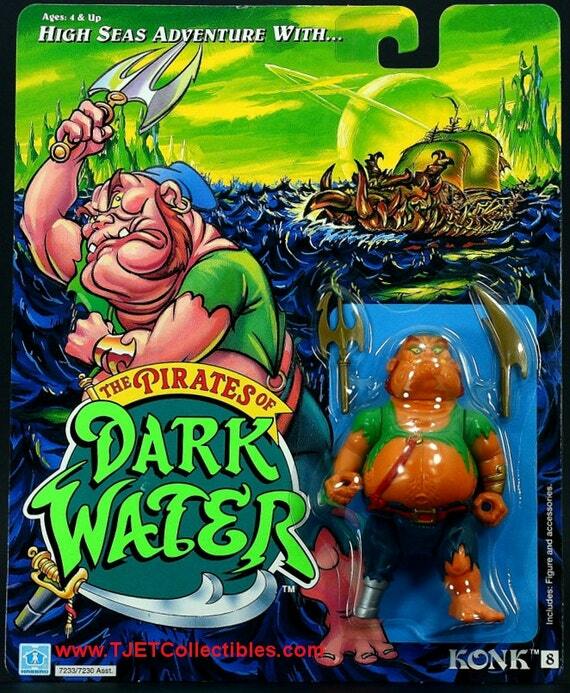 #8 and #9 go with Konk from Pirates of Dark Water. Found em on the yojoe.com WHOBIT accessory database! Edited by benkobiman, 02 August 2017 - 11:20 AM. You guys are awesome, as always!! Are the skulls from the Predator Trophy Wall? That was my first thought. 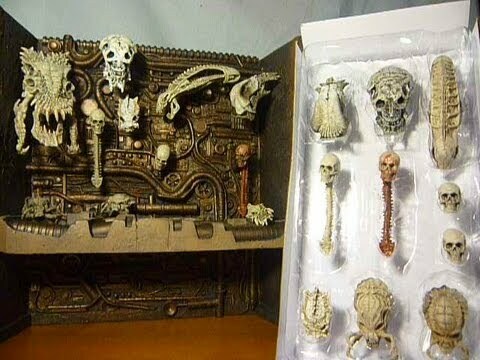 The second skull kinda looks like a Predator skull. But I couldn't find anything to support that. Also they look base white... like almost no detail. As well as quite small. I thought maybe accessories to the older Predator toy line back in the mid 90's. But I'm pretty sure all of their accessories were weapons and helmet/mask. Those are the perfect size for battle beasts as well similar gold colour too. I feel like these are ghostbusters. Only one has a marking. Both came with Disney Dinosaurs action figures the Muppet one not the CG one that was just called dinosaur. Purple guy is a GB fig. My first thought was War Monsters weapons. Edited by Draznar, 04 August 2017 - 08:51 PM.